I love the overlapping words of different strengths and in different directions and achieved a similar look by using black and grey with one of my favourite Papertrey sentiments. 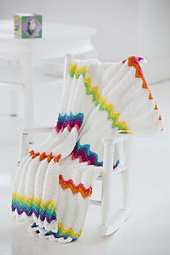 For this one, this crochet blanket with its separated rainbow stripes is bright and cheery, but still very clean. I added another Papertrey sentiment and a Yellow Owl Workshop horse to personalize it for my sister. I love your beautiful cards from these awesome pins Ardyth! gorgeous cards Ardyth! I LOVE the second one! Such perfect cards for your family members! 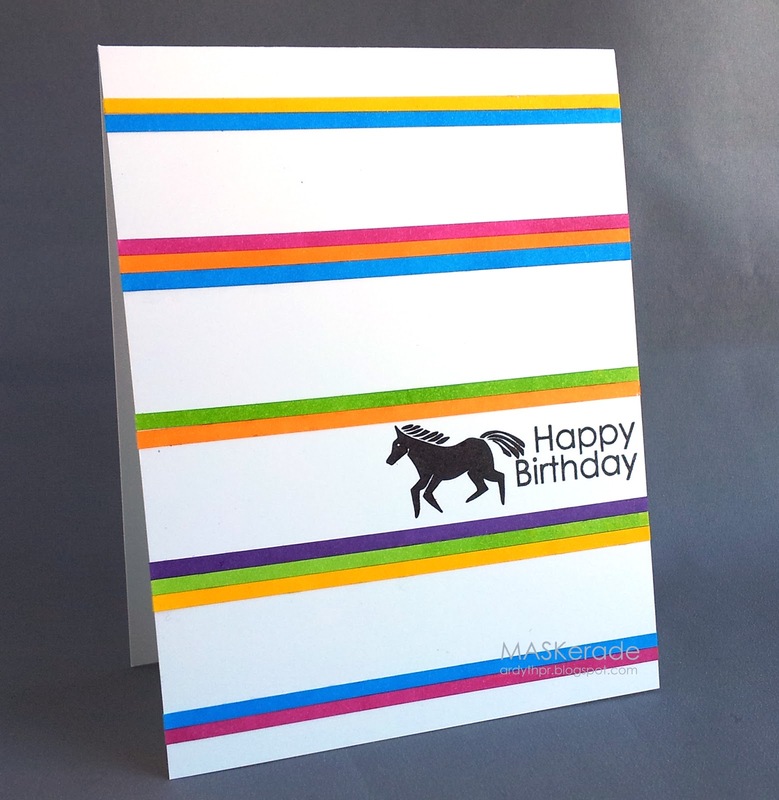 Love the grey and black masculine and the bright horsey card! Love that you showed your inspiration pieces. Two perfect cards made "just for" your BIL and sister. They'll love them, as do I! Love the CAS word card ... great masculine card! Oh my goodness...you are one amazing card making machine! Looks like I missed a whole lot of eye candy while I was away! Your "Glory" card - stunning! And the robots...totally cute! My fav is definitely the Pinterest inspred "HB" card!!! I love both of these, Ardyth. It is so easy to see how you were inspired, when you post your inspiration photos, but that is something I cannot do at all. I especially love the first card. 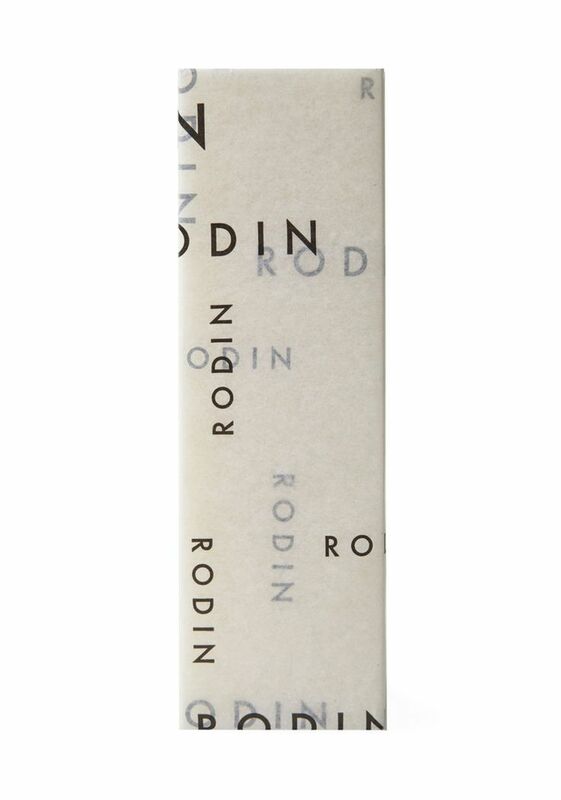 Word art is always such fun. Wow, great cards from the inspiration pictures! I always look forward to see ur photo inspired cards, they are tremendously amazing :) I love that horse, I know its ur fav , now mine too. I love how you were inspired by both of these photographs. I need to start looking at things with making a card in mind. Your cards are wonderful. The are perfect for each occasion. Love he designs and colors. It's amazing how you can be inspired by a photo. 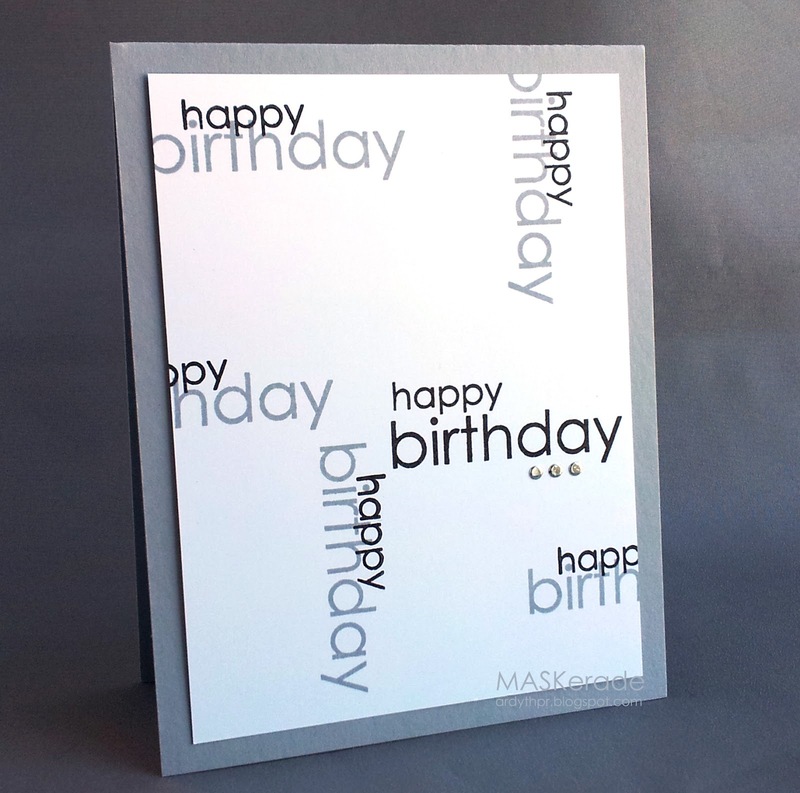 You are one amazing card maker...both of your cards are just fabulous!